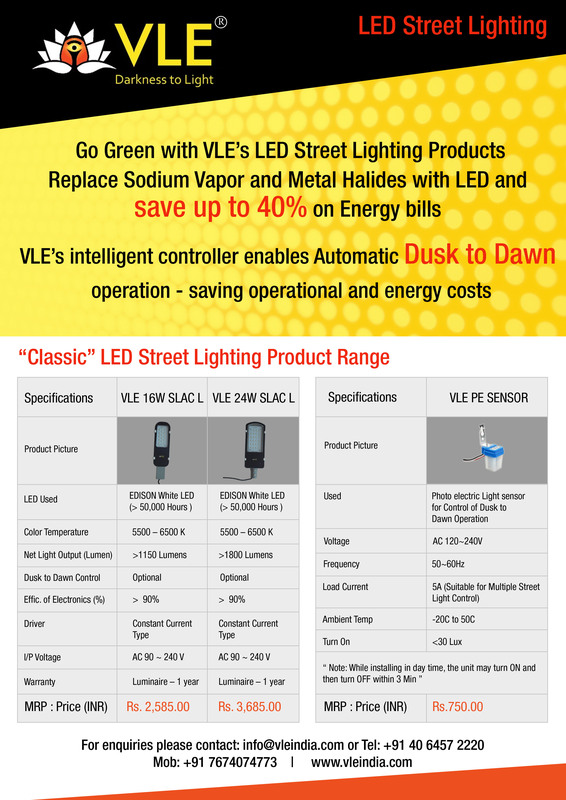 VLE’s LED Street Light Systems come in various versions to cater for most needs. 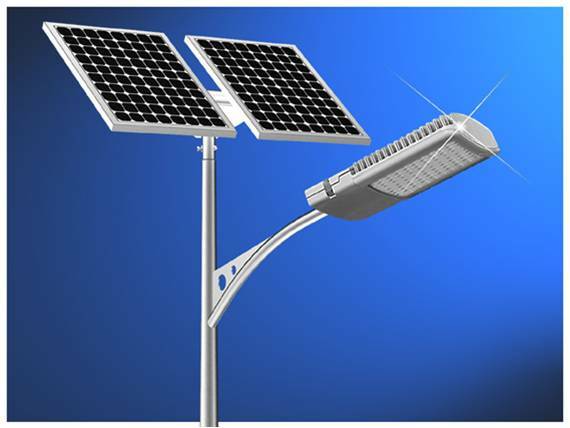 The Solar-LED version ranges in power from 9 to 24W with light output ranging from 900 to 2500 lumen. The AC LED Street Light power varies from 9 to 80W with light output ranging from 900 to 8000 lumen. 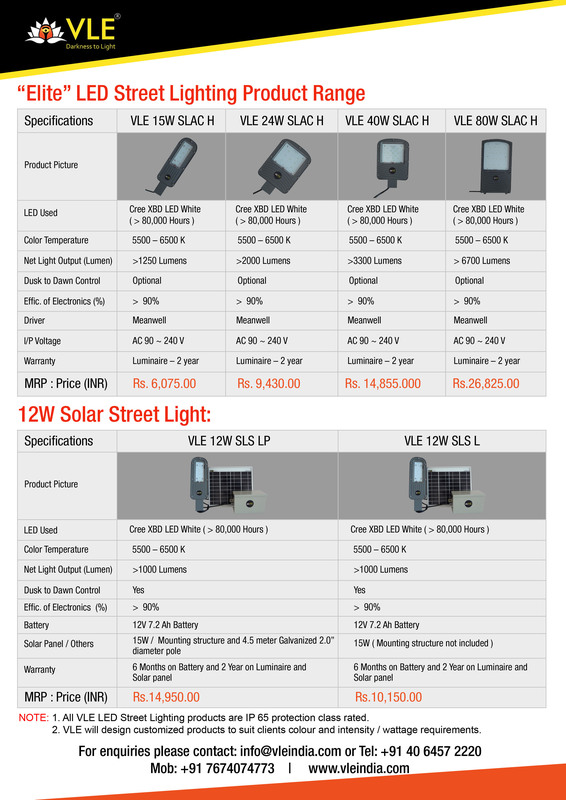 DC Street Lights are also available ranging from 9 to 24W and 900 to 2500 lumen. 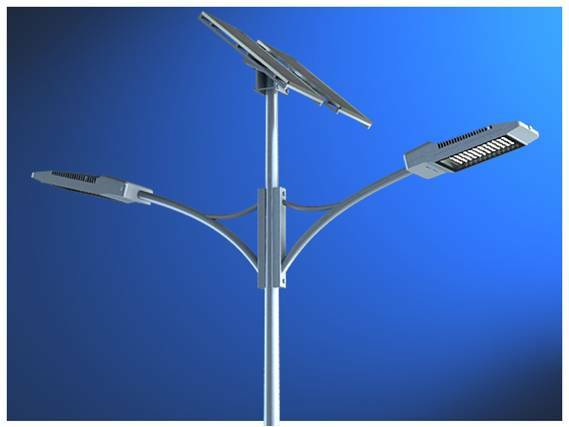 All street lighting products have Dusk to Dawn control, efficiency of electronics greater than 90%, and high quality components, including Cree LEDs, are used throughout. 2. Temperature Compensation for Battery Management. 3. Automatic Dusk to Dawn control. 4. Mid night dimming : 3- switches are available for 8-modes of dimming.